Losing weight is definitely a tough journey and one that takes time. Unfortunately, as much as we’d like, weight loss doesn’t happen overnight. 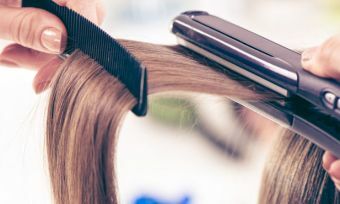 If your doctor has told you to lose weight, or you’d like to feel a little lighter and make the move towards better health, it’s essential to begin and carry out the weight loss process the right way. This means no crash dieting and making nutritional choices that you can sustain, to avoid damaging your metabolism or putting the weight back on down the track. IsoWhey is a brand focused on supporting the overall health of its consumers, as opposed to being the answer for quick weight loss. The products are supportive of a weight loss journey and with so many different options, there’s a product for every age and fitness level. 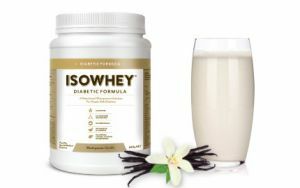 IsoWhey is divided into three different ranges, each one offering a unique selection of products developed specifically for health-conscious people. 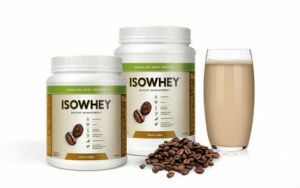 The IsoWhey brands include IsoWhey Weight Management, IsoWhey Wholefoods and IsoWhey Clinical Nutrition. All of the products that come under the IsoWhey umbrella are “formulated to be a nutritious and healthy option when nutrition could be improved during various health and age stages”. Being busy doesn’t mean your weight loss journey needs to suffer. 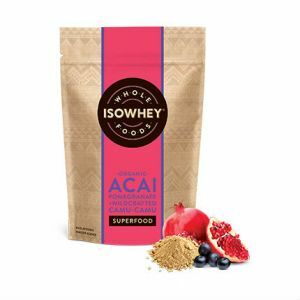 IsoWhey is a family-friendly brand and its products are ideal for people on the go, in fact the products from IsoWhey are super supportive of a busy lifestyle, with endless snacks and shakes that are easy to prepare with balanced macronutrients (protein, fat and carbohydrates). This means you can reach for an IsoWhey snack or shake if you’re out and about instead of reaching for a quick, sugar-filled option at a convenience store or fast-food outlet. IsoWhey shakes are made from a pretty good formula, with those macronutrients including just 7.5g carbohydrates per serve and 15g of whey protein. You can mix a serve of the IsoWhey Shakes with 200mL of your favourite milk or water and keep handy for when you’re hungry during the day. You can also try mixing it with half a cup of oats for a more filling option then top with berries or sliced banana for a nutritious breakfast. IsoWhey Protein Pops are snack options that can help keep your sweet tooth at bay. One serve contains 20g of the IsoWhey specially formulated protein and these tasty little protein balls are also free from artificial colours, flavours and preservatives! You can purchase the Protein Pops in a box of ten, or you can stop by a pharmacy like Priceline, Pharmacy Direct or YouSave Chemist for individual serves. Superfood Blend Snacks are also yummy snack options and include nibbles like the Wholefoods Superfood Snacks – Cacao and Sea Salt and Wholefoods Superfood Snacks Coffee and Raspberry snacks. The IsoWhey Clinical Nutrition is for consumers who seek a little more from their health food supplements. These products are for older consumers who may need more support in maximizing daily nutrition or who require more medically. The range has two formulas, the Diabetic Formula and the new Advanced 55+. If you’re looking for a little fitness motivation to accompany your healthy eating, check out this cool video from IsoWhey.